Join our team on The Free Breakfast! Featuring diverse music, including a weekly feature artist, regular and one-off interviews with people from the wider community and RNZ News. The Free Breakfast is truly LIVE and LOCAL breakfast radio! If you or your community group are up to anything exciting, give the station a call to discuss a live [or pre-recorded] interview and we're always keen for promotional giveaways! Kelli Pike talks with Hamilton Mayor Andrew King about the Community Land Trust and the Te Awa lake development. Kelli talks with Samantha Rose about community land trusts and how they could benefit Hamilton. The first of a regular series where Mike Williams talks with Sgt Pere Paea from Hamilton Police, about a variety of community related subjects. Mark Bunting talks to former Hamilton City Council Mayor Julie Hardaker. Kelli Pike talks to Robin Treadwell about Our Climate Declaration which calls on New Zealanders to stop the bad, bring on the good and pressure government to take action on climate change. Kelli Pike talks to Hamilton Mayor Andrew King about what we can do to support the Muslim community; a report into changing Hamilton street names and why he thinks his billboards are not early electioneering. Kelli Pike talks to Paul Bradley from Creative Waikato about the inaugural Hamilton Buskers Festival and Boon street art festival which are happening in the Hamilton this weekend. Kelli Pike talks to Chris Eames, Associate Prof. from the University of Waikato about supporting students to take climate action through strikes on March 15th. Mike Williams talks to Christine Barbour, convenor of the Hamilton branch of the NZ Society of Genealogists, and Sandra Metcalfe, convenor of the Te Awamutu branch, about families and history. Mike Williams talks with Dr Andelka Phillips, Senior Law Lecturer at Waikato University, about DIY DNA testing and the question of your rights in terms of privacy. Mike Williams talks with writer/actor Lisa Brickell about the play Mockingbird, which is on stage at The Meteor Theatre in Hamilton for one performance next Thursday. It's a dark comedy, exploring post natal depression. Cate Prestidge talks to Joel Baxendale of Wellington theatre collective Binge Culture, who are staging an interactive experience as part of the 2019 Hamilton Gardens Arts Festival. Kelli Pike talks to Alex Ellis from Flaxworks Theatre Company about their forthcoming show 'Conversations With Dead Relatives' which features in this year's Hamilton Gardens Arts Festival. Mark Bunting talks with Rob Hamill about the family's experience as the Cruisjng Kiwis, sailing their catamaran Javelot around the world, starting in the South Pacific. Kelli Pike talks to fellow Free FM content creator Dan Armstrong about his second season of The Locals. The Locals profiles interesting people and stories of the Waipa and airs on Thursdays at 10.30am. Kelli Pike talks with Hamilton City Mayor Andrew King. Kelli Pike talks to Dave MacPherson about the latest hurdle the family is facing in their battle to hold the Waikato District Health Board to account for the death of their son and brother Nicky while under the care of the Henry Bennett Centre in 2015. Kelli Pike talks to Zeta Mohn about the Ignite Women's Retreat for 14-17 year-olds, run by Shama and the YWCA. Kelli Pike talks to Dan Silverton from the Waikato Museum about attractions and exhibits for February. Cate Prestidge talks with Dr Andrea Graves about tips for looking after chickens in the current heat wave, plus other good chicken-keeping practices. KelliPike talks with veteran runner Ross Murphy about the Hamilton Half Marathon fun run, coming up on February 3. Cate Prestige talks with Jay Spencer from Arts for Health about their inaugural Arts in the Park event, coming up on Saturday January 19. Mark Bunting was joined by Cara Ferris, an Orini resident who is fervently opposed to a mega egg factory farm planned for the region. She's not alone – Direct Animal Action said it would be 'a huge, stinky, industrial eyesore'. Kelli Pike talks to Paul Trenwith, host of Free FM show ‘Back Porch Bluegrass’ and recipient of the Queens service medal for services to country music, about the inaugural Kiwigrass festival, 1-3 February next year. Mike Williams talks with Naomi Pocock from the Conscious Kids school holiday programme. Mike Williams talks to Waikato Police Community Liaison Officer Jack Driver about Everyday Heroes and Warrant Day. Kelli talks to Deirdre Sims, spokesperson for Direct Animal Action about their protest action and advocacy against a proposed Mainland poultry mega farm at Orini. Mike Williams has a special interview with Roman Benson (bassist) from Gisborne punk band Sit Down In Front. Mike talks with him about their upcoming shows and the history of this extraordinary band. Mike Williams talks with Sam Fowles from Ghost Who Walks – a funkster band from Wellington who have just released their first EP this year and are on a tour of 11 North Island cities. Mark Bunting asks Rachel Kelly how regulated we are in this 21st Century digital world. Mark Bunting talks to comedian Dylan Stewart about his show 'D.I.V.O.R.C.E, The Home Game!' which features as part of the Hamilton Fringe Festival this year. 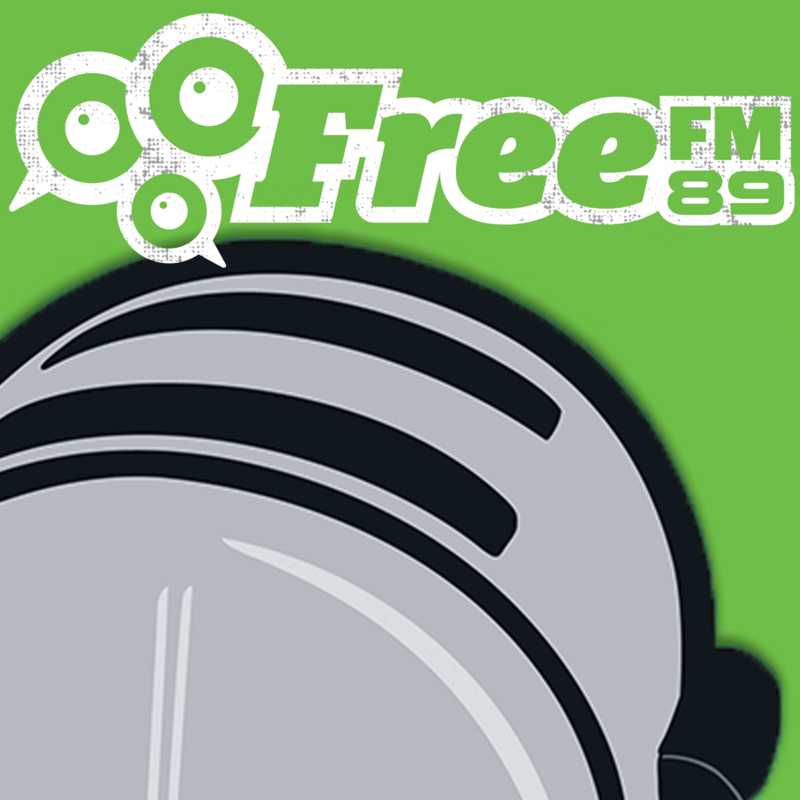 Mike Williams talks to Free FM Hamilton Waikato featured FIRST Union’s Transport, Logistics and Manufacturing Divisional Secretary Jared Abbott, about the lock-out of Go Bus drivers over a dispute over pay rates and the union's push for a living wage for drivers. Kelli Pike speaks to the organisers of a Domestic Violence Awareness event happening at Enderley on Saturday. Kelli Pike speaks to Cian Gardner from Cove Theatre about Rauru, a play which explores concepts of family, identity and loss. Mike Williams talks with playwright James Cain, about his play 'Movers' – on stage at the Meteor Theatre, Hamilton form November 27-29. Mike Williams talks with David Sidwell about Wintec's new Bachelor of Music and Performing Arts (Theatre), launching next year. Kelli Pike speaks with Judy and Megan from the Hamilton advocacy group 'Sink or Swim' about why the Municipal Pools on Victoria Street should be saved. Kelli Pike talks to Tracey Slaughter, writer and editor of the literary journal ‘Mayhem’. Issue 6 of the journal is being launched at an event at the Meteor on October 26. Kelli Pike talks to Derek Jacombs from Tauranga based blues band Kokomo. Formed in 1991 as Kokomo Blues Band (named after an early blues song, not the Beach Boys hit) Derek talks about being influenced by pre-war blues and shares highlights from their 30-year history including their performance at the 1999 Sweetwater Festival. Kokomo perform at Nivara Lounge on October 27. Kelli talks to Angela O’Leary (Hamilton City Councillor) about the recent purchase of Victoria street buildings and then what her suggestions are for anyone thinking about putting themselves forward in next October’s local government elections. Kelli Pike spoke to Mary Ann Gill about Altogether Autism and Life Unlimited. Kelli Pike spoke to playwright Paolo Rotondo about Kororāreka: The Ballad of Maggie Flynn. Kelli Pike speaks with writer / director Dustin Feneley about his debut feature film Stray, which tells the story of two damaged strangers coming together against the backdrop of the Southern Alps. Stray is being screened as part of the NZ International Film Festival in Hamilton from September 9. Kelli Pike talks to Jasmine, from Blackflax: Be inspired, about the kaupapa of her kete and plans to share the tikanga and practice of raranga (weaving). Kelli Pike talks to Rhiannon, Chair of Hamilton Pride about Pride Week events which start on Saturday September 1. Host Mark Bunting talks with Jarek Beksa of Sonnar Interactive, and Free FM General Manager Phil Grey, about the rapid rise of smart speakers and how this technology is set to have a major impact in the world of radio and on-line information services. Is the likes of Amazon's Echo device the next Big Thing? Probably, yes. Kelli Pike talks to Mayor Andrew King to find out his perspectives on the 10-year plan outcomes, the Maori representation decision, and the Representation Review of which consultation starts on August 24. Cate Prestidge talks with Nutritional Biochemist and author Dr Libby Weaver, who will be speaking at the Claudelands Conference & Event Centre, Heaphy Rooms from 7pm-9pm, Wednesday 22nd August as part of her 24 stop Australasian tour The Hormone Factor live event. Cate Prestidge talks with animal rights campaigner Sandra Kyle about her book 'Glass Walls' which features Sandra’s Facebook posts about her (mainly solitary) slaughterhouse vigils over more than two years. Mike Williams talks to Kalyani (Kaly) Nagarajan, who plays the title character in the Indian Ink Theatre Company's production, Mrs Krishnan's Party, on stage at The Meteor Theatre from 15-18 August. Kelli Pike talks to Michelle Ryan of the NZEI who explains why kua tae te wā (it's time) as primary teachers and principals prepare to strike on August 15. Kelli Pike talks to Dan Silverton about events and exhibitions happening at the Waikato Museum this month. Kelli Pike talks with Catherine Wallace about Hamilton Book Month which runs throughout August with 20 free or low cost events on offer. Kelli Pike talks to Skye Sloper from Plastic Bag Free Glenview about their group and their plans to sew a mountain of reusable bags. Kelli Pike talks with Free FM General Manager Phil Grey about the Community Access Radio sector reaching the one-millionth podcast download milestone, plus the role Free FM plays in providing our community with an accessible media platform. Mike Williams talks with actor abd playwright Joanna Bishop about her play 'A Revealing Thyme' – on stage at Gaslight Theatre Cambridge July 21-22 and 28-29. Mark Bunting talks with Iain White, professor of Environmental Planning at the University of Waikato, about cities, urban planning and the future of Hamilton. Kelli Pike talks with Toni from Life Unlimited. Mike Williams talk with Jessica and Paris Eyeington, who appear in the Playbox Theatre production of Peter Pan, opening in Hamilton on Saturday 7 July. Mike Williams talks with Hamilton singer and actor Gwen Lyon. There are two concerts raising funds towards Gwen's fees to study for a Master of Arts in Musical Theatre at Guildford School of Acting in England, beginning in September. The concerts are on July 13 and July 29 and are called THEN and NOW — showcasing musical theatre songs through the ages, with some fantastic guests. You can find tickets for THEN (Diocesan School for Girls) and NOW (The Meteor Theatre) at eventfinda.co.nz (note, they are separate listings because they are at different venues). Mark Bunting talks to Nurul Shamsul - a Malaysian-born Waikato University student and is one of 20 finalists for Miss Universe New Zealand 2018. The 20-year-old self-described 'farm girl' from Morrinsville is making history as the first contestant to wear hijab in the annual competition in NZ. Mike Williams talks with Leo Gene Peters, director of the show Jekyll and Hyde, by Slightly Isolated Dog Productions on stage at the Meteor Theatre on June 15-16. Free Breakfast's Tuesday host Kelli interviews Phil from Life Unlimited about a special invention: The Nip Glide Walker. Kelli Pike talks with NZ author Linda Olsson. Mike Williams discusses comedy with Dan Roling. Kelli Pike talks with Ceana Priest about Outdoor Kid. Kelli talks with Jackie about hearing loss.